"Experience: that most brutal of teachers. But you learn, my God do you learn." 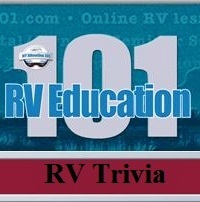 Are you an RV dealer? 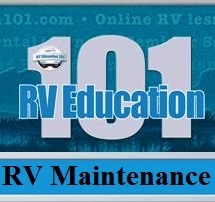 RV Education 101 created a program just for your customers! 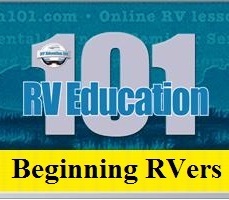 The RV Orientation Online Training Program. I hope you enjoyed your Labor Day weekend. We tried to make last minute reservations for an RV trip to the beach, but campgrounds were full and it didn't work out. Instead, my weekend was spent on some outdoor projects around the house. Over the last 2 weeks we filmed all of the footage for the new "Tow your 5th Wheel Trailer Like a Pro" DVD and I have been editing day and night. Right now it looks as though it will be close to 90 minutes in length and packed with some great information on 5th wheel trailers. 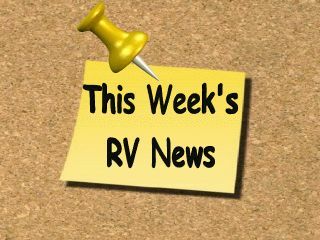 My goal is to finish the editing before I leave for the Pennsylvania RV trade/retail show next week, where we will be working on some new RVTV segments. 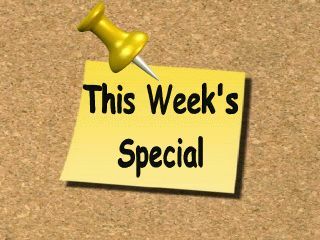 Until next week, plan your trip, travel safe and enjoy your RV experiences. Remember, getting there is half the fun! 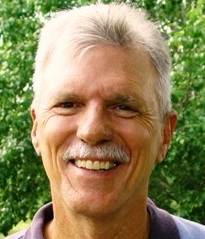 On a motorhome, it is the portion of the RV that extends from the rear axle to the bumper. Q.I have a new 5th wheel with dual batteries hooked up sitting in my driveway and I keep it plugged into an outlet in my garage. Is this good or bad? Will I ruin the batteries? Should I disconnect the batteries and just let them sit there when not in use and charge them overnight before we use the camper? Should they be removed from the camper during the winter (We have mild Winters where I live in Oregon)? I've heard so many warnings about batteries being ruined due to; overcharging, draining, catching fire, etc .......... I asked the dealer and they said not to worry about overcharging BUT I'm still not comfortable about leaving power on them all the time the trailer is parked. There are several things to consider with your RV batteries. First there is no real reason to leave an RV plugged in all of the time unless you use the refrigerator as a second cold food storage space, or perhaps you have another reason to leave it plugged in. The big concern is the type of battery charger the RV converter has in it. If it is a higher-end converter it will have a 3-stage battery charger that will only charge the batteries based on the current condition. If or when they are fully charged a 3-stage charger will only provide a float charge to maintain the batteries, and won't generally harm the batteries. If on the other hand the converter has a single stage charger it will eventually overcharge the batteries and they will lose electrolyte until the batteries are damaged (if you don't check the water levels on a regular basis). If you don't have any reason to leave the RV plugged in, other than the batteries, you can just plug it in for about 8 to 12 hours a month and allow it to top off the batteries state of charge. Your literature that came with the RV should specify the type of charger the converter has. 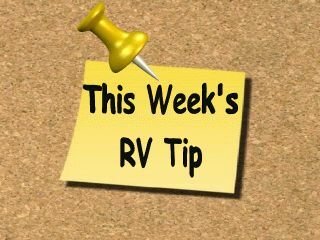 If you have a battery disconnect switch make sure it is always disconnected when the RV is not plugged in so nothing is draining the batteries as it sits in storage. There are parasitic loads on the batteries that will drain them over time. If you have mild winters, there is no need to remove them from the RV. The important thing is a battery will freeze much quicker if it is not fully charged. If you leave them in the unit just make sure the batteries stay fully charged. You can purchase an inexpensive multimeter at a auto parts store to get a quick idea of the battery state of charge. A 12 volt battery that is fully charged will read about 12.7 volts and a 6 volt battery that is fully charged will read about 6.4 volts. When they drop below 12.4 or 6.2 respectively they are at about a 70% charge and need to be charged. Camping Tip: A 30 amp electrical system on an RV has the capability of using 3,600 watts or 30 amps before you will overload the system. 120-volts X 30 amps = 3,600 watts. Think of it like this, you could use 36 one hundred watt light bulbs and when you turn the 37th one on it will probably trip a breaker. You should never run more than one major appliance at a time i.e. air conditioner or microwave. 176 FEMA trailers still occupied across Mississippi"
My RV Kitchen and Favorite Recipes In this book, Vicki tells what she looks for when selecting an RV kitchen. 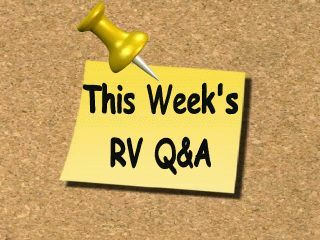 She suggests how to equip and stock the RV kitchen, and provides tips for on-the-road grocery shopping. — all specially designed to meet the needs of motorhome owners. The value of these benefits and services far exceeds the cost of the annual dues. A product that Mark personally uses: Camping/RV Battery Chargers- BatteryMINDers® are the new generation of SMART, pulse type "computer-on-a-chip" chargers, that safely charge and maintain all size / type / brands of batteries including starter, deep cycle and sealed types including AGM “dry” made by OPTIMA, ODYSSEY, EXIDE, INTERSTATE, et al. 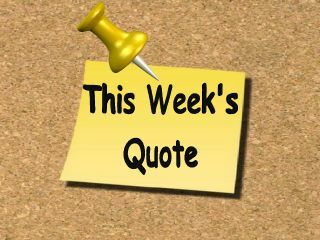 They do all of this without ever overcharging, no matter how long they are left on charge – days-weeks-or even months. Dubbed the chargers with "brains," they are the first to fully-automatically reverse the primary cause of early battery failure known as "sulfation". Sulfated batteries once considered beyond recovery can now be brought back to long-term useful condition. Certain models of BatteryMINDers® can more than double the useful life of new batteries. 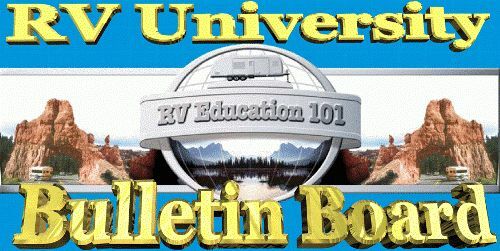 RV Education 101 & RV University went mobile! 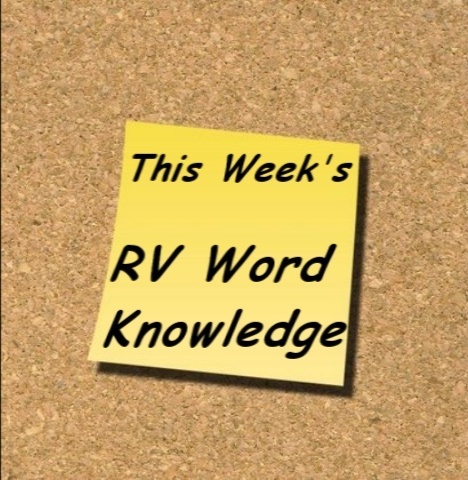 The Go For the RV Gold program is loaded with one-on-one RV training videos, feature articles, RV tips, crossword puzzles, member discounts for RV services and RV products, quizzes, and much more. 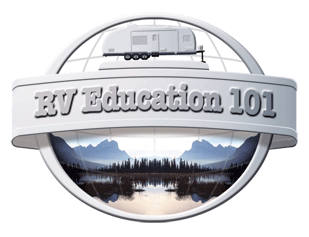 This is the only online RV training program that will teach you everything you need to know about your RV at such a reasonable cost, and totally at your leisure with no deadlines. There are customized worksheets provided for navigation, so nothing is missed or overlooked. There is a space provided for you to make notes for each topic and then a feature to print the worksheet when completed. At the end of the program there is a 25 question final exam. If you pass the final exam (you need a 72% or higher score) you will receive your “Go for the RV Gold” training certificate that you that you can proudly display in your home or RV. P.S. If you don’t pass the final exam, you will be given an opportunity to take it again until you do pass, so you can receive your Go for the RV Gold certificate. National Interstate Insurance company offers a 5% safe driver discount when you successfully complete the “Go for the RV Gold” program. Just present your “Go for the RV Gold” certificate of completion to an authorized National Interstate Insurance agent. The membership fee is only $49.95 per month for 3 months. Billing is on a 30 recurring basis until the final payment is made. This equates to only $12.49 for each in-depth weekly RV training course. When you select the recurring billing payment option you receive the a new RV training module each month. 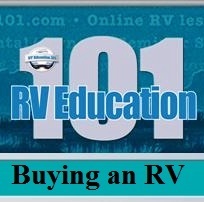 You can’t beat this low pricing for one-on-one RV education training in the comfort of your own home or RV. There is no driving to get to the training location, no packed classrooms and no time restraints. Note: There is second payment option available where you can pay the full $149.85 program price in one payment. If you select this payment option you will receive all 3 RV modules (12 weekly courses) at one time, after payment and registration. 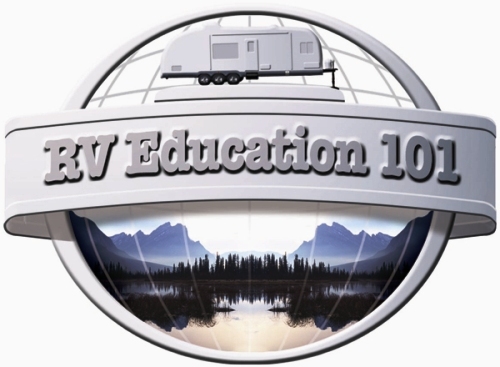 This program compliments our current line of RV Education 101 training dvds! RV University This Week © Copyright 2010 Mark J. Polk, except where indicated otherwise. All rights reserved worldwide. Reprint only with permission from copyright holder(s). All trademarks are property of their respective owners. All contents provided as is. 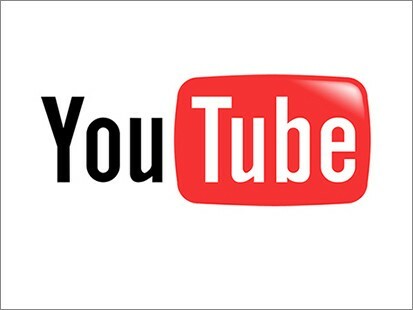 Advertisers are solely responsible for ad content. 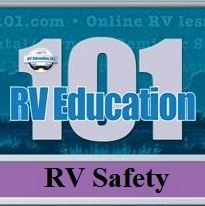 RV Education 101 Newsletter is an opt-in ezine available by subscription only. We neither use nor endorse the use of spam. Your email address will ONLY be used to distribute this newsletter and will NEVER be sold or given to any other entity! !